As with all of our products, you can choose the span, length and height of your carport. But why stop there? We have steel carports to suit all budgets and design requirements. 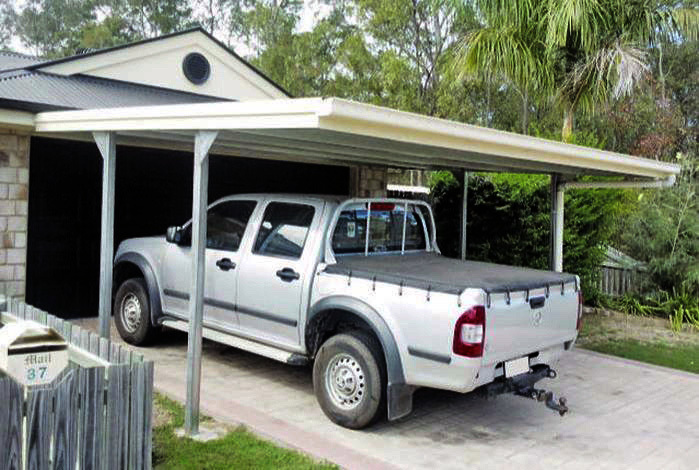 Customisable size and colours makes the flat roof carport an ideal choice. 1.3m standard front and rear cantilevers allow more room to swing your vehicle in and out. Fully galvanised frame to ensure the longevity of your investment. 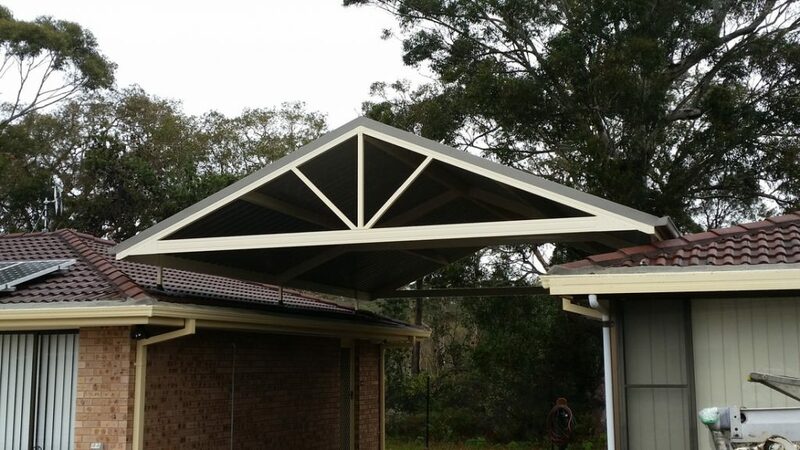 Gable Roof carport designs provide wider spans and more versatility than Flat Roof design. Roof pitch options of 11, 15, 22, 30 and 45 degrees will complement the design of any existing building. A gable end clad option adds a touch of style to the front and rear. Create the perfect cost-effective outside entertainment area or classy carport look. Fits in perfectly with modern house designs that utilise Dutch Gable features. 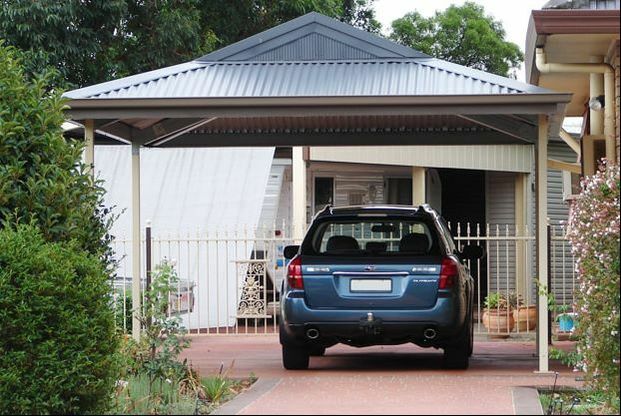 Standard 1.3m front and rear cantilever allows for easy entry to and exit from the carport. The perfect solution when additional ceiling height is needed, for example, for access by caravans or vehicles with top rack loads. Or they can just provide an interesting design feature. Your carport is anchored by roof penetration brackets to a higher point of your roof. Want a free quote in just minutes on a steel carport that’s just right for your needs? We’ll call you back ASAP within our business hours. Judds Garages is an official distributor for Fair Dinkum Sheds. Their carports are made from Zincalume and steel, which offer a number of advantages over other materials. The COLORBOND® steel is available in a range of attractive colours to co-ordinate with any setting and being extremely durable, will look great for years to come. 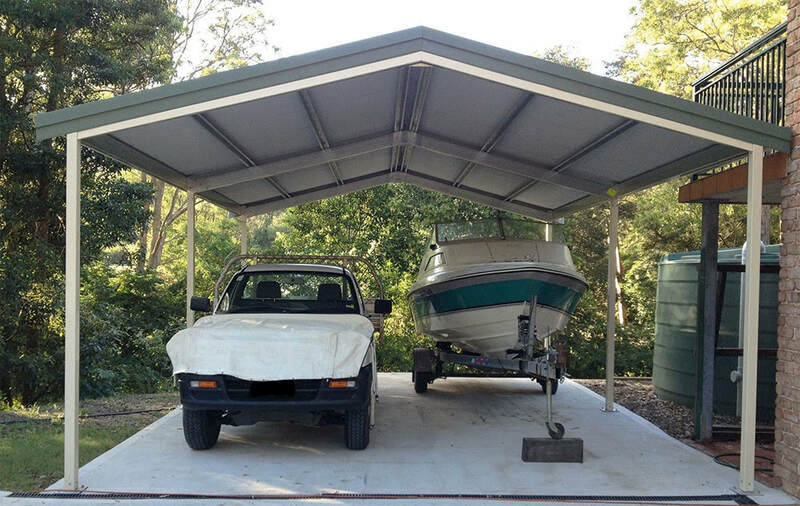 A Fair Dinkum Sheds carport is a fine addition to any Australian home. Fair Dinkum Sheds has been ShedSafe® accredited by The Australian Steel Institute’s (ASI). It requires compliance with all Building Code of Australia (BCA) guidelines in the structure’s design, and follows a rigorous independent auditing process by a panel of independent engineers and specialists from the ASI. Shedsafe protects you and your investment in a shed and its contents.